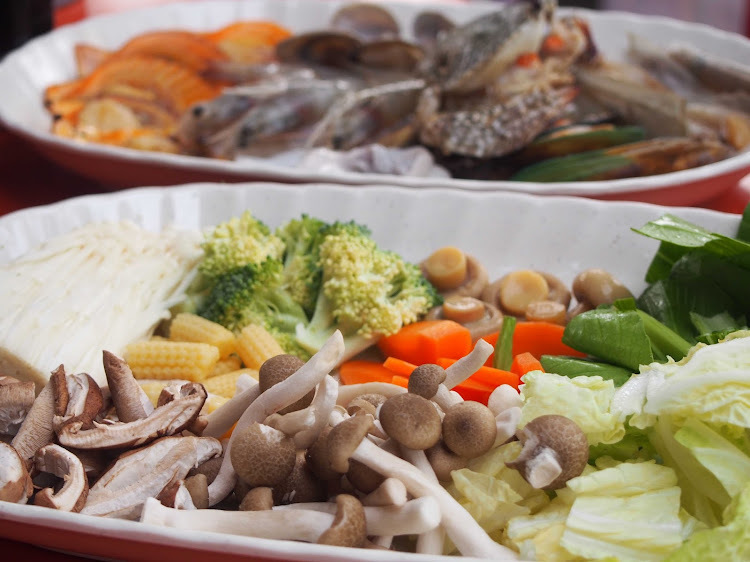 Over the past few years, the Thai food scene has evolved rapidly in Singapore. Nowadays, you can easily walk into any Thai food eateries even at your neighbourhood district, you can even see them selling it at food courts. 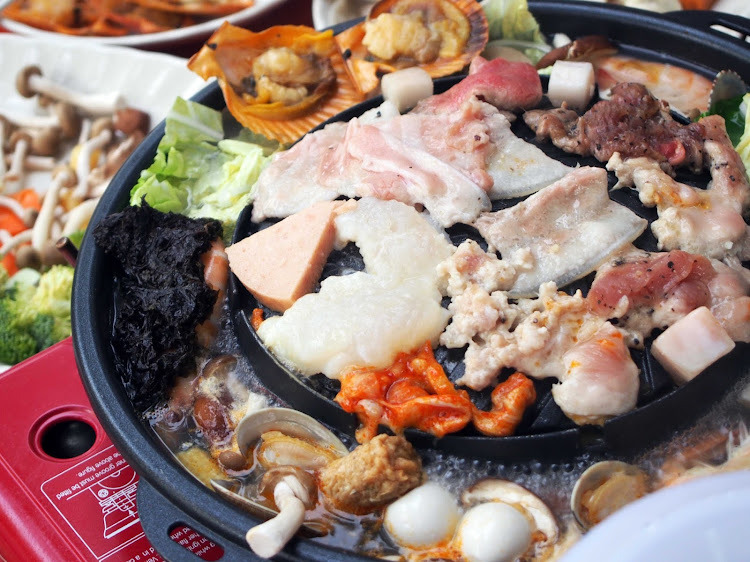 Mookata eateries are amongst the few evolving trends that are rising predominantly in Singapore. Still remember I used to go all the way to Golden Mile Complex with my makan kakis just to have mookata. Now you can have them almost at anywhere becuase they could be just a click away like how you are reading about this blogpost now! In today's context, we have 3 different kinds of DIY Cooking you can find in Singapore, we have the regular steamboat restaurant, we also have Korean BBQ (the hype kinda tone down a little in Singapore) and also last but not least, Mookata. 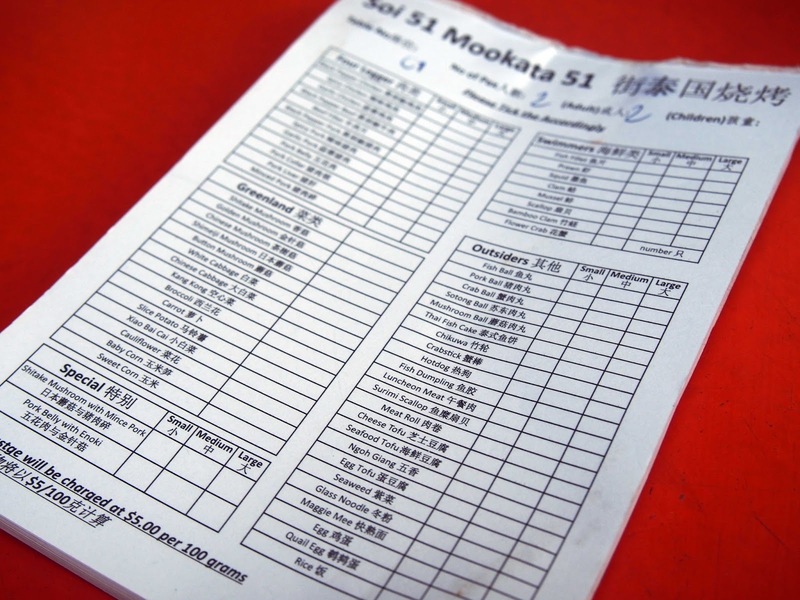 I was recently invited by Soi 51 Mookata for a tasting session alongside with my friend. 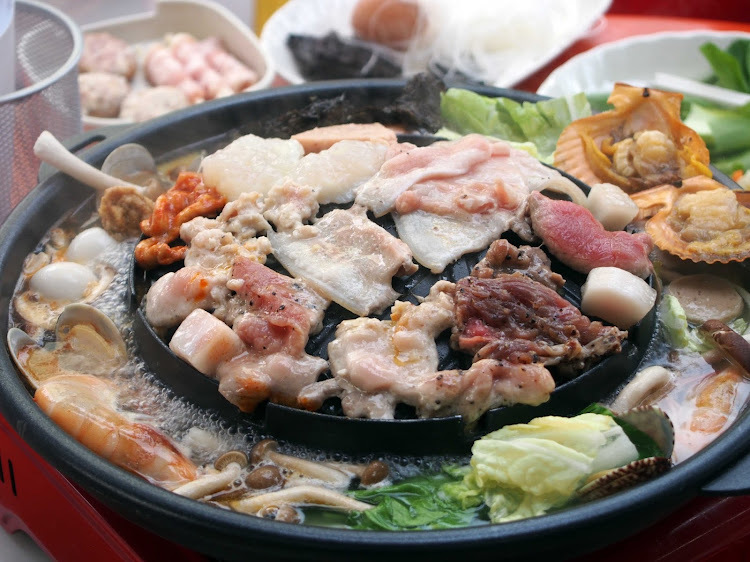 Interestingly, mookata is unlike you regular steamboat whereby you have a pot in the middle filled it up with soup and you grill your food at the side. For mookata, it is completely the opposite. The only hassle about having mookata is that you have to constantly keep refilling the soup at the side. On a side note, they use pig-skin is used to act as as the oil instead of using normal oil. 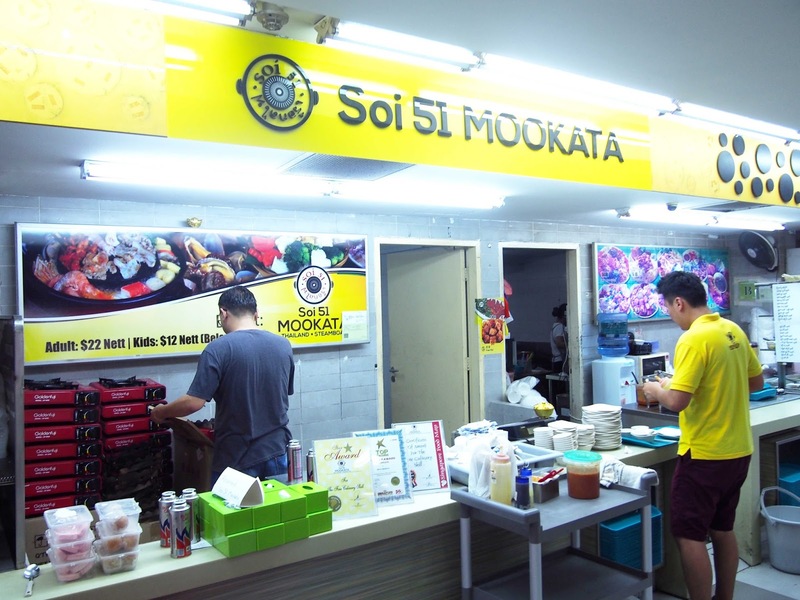 I visited Soi 51 Mookata's 3rd branch at 90 Boon Lay Place (former Savoy Theatre.) The location is quite accessible as it is only a few bus stops away from Lakeside MRT Station. I chose to travel in different route as I took grab car instead as I came directly from school. The location is near-by to NTU and also minutes drive from two of the local polytechnics in the West. They have also two other outlets located islandwide. You can find out the details at the end of the blogpost. Soi 51 Mookata is one of the few Thai mookata eateries that serves mookata in a buffet style which is not very common. A lot of places serves a-la-carte style which sometimes maybe quite expensive becuase the amount you pay varies according to how much you order. 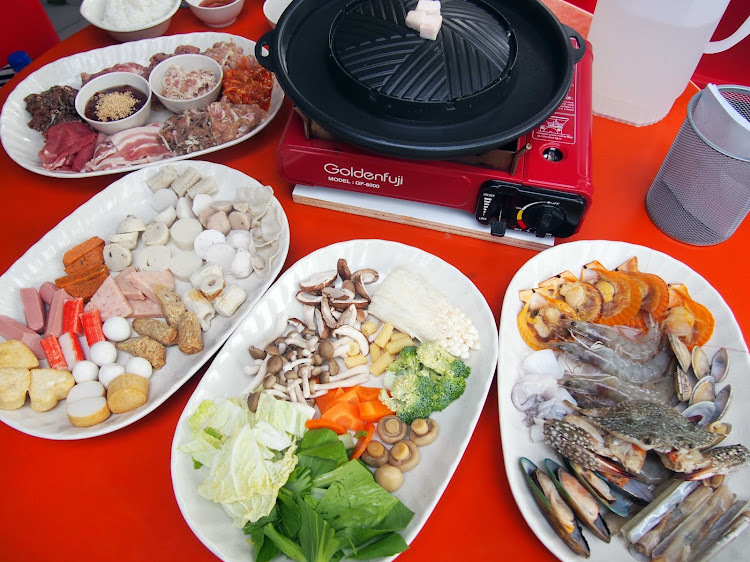 Soi 51 Mookata offers affordable prices at only $22/pax (adult) and also for children below 1.2m for $12/pax (kids). What I really like about Soi 51, is their variety of choices. With more than 60 different selections to choose from, you will be spoilt for choices! I believe this will serve as a good deal for students like me who is always on budget! At a price of $22 per pax, and you can eat all you want, it is so much value for money! Trust me, at other places, mookata usually cost around $25-$26 per pax. Here is a glimpse of the meat selection that they have. I personally recommend the pork belly, garlic chicken (the seasoning was well-done and when eaten was flavourful) and also the mince meat similarly to wanton but just without the skin! Takes awhile to cook but it was dayum! My friend preferred the black pepper chicken, hence I personally believed that it should be based on your personal preference. 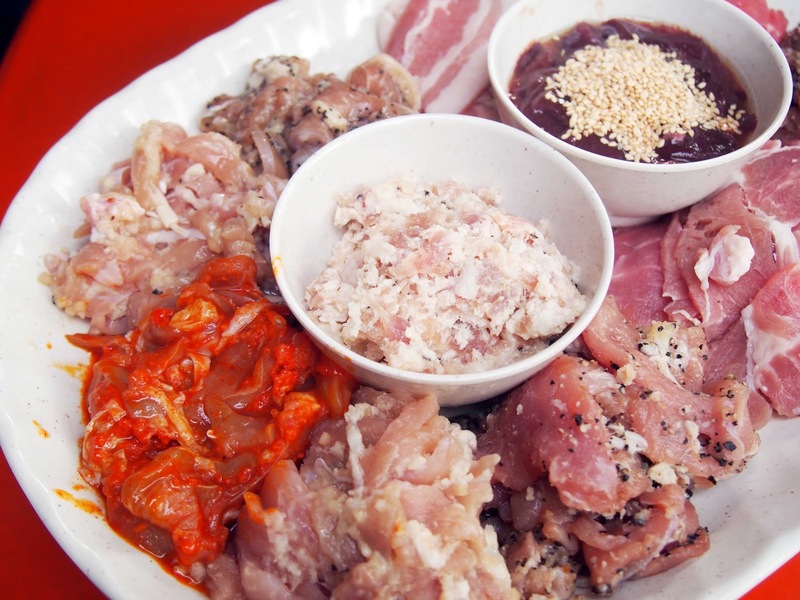 Some may like the spicy chicken, some may prefer just black pepper pork. 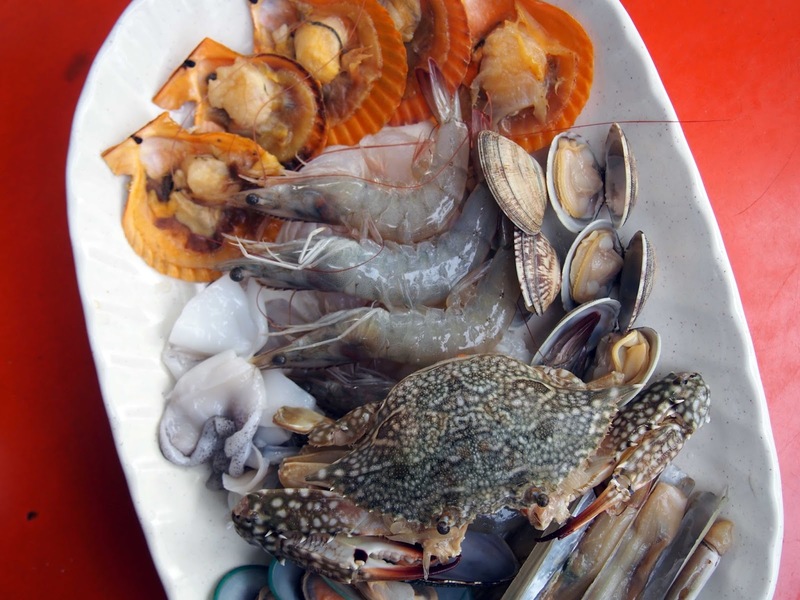 They also serve a wide variety of assorted seafood raging from prawns, raw clams, squid, bamboo shoots to crabs! On a side note, all items on the menu are free to order and there are not restriction of orders for items like prawns. This is becuase I've been to some places and sometimes they only allow us to order 1 portion of prawns. At Soi 51 Mookata, you can enjoy the entitlement of ordering unlimited food items off the list provided if you can finish it once you ordered. Additional food wastage will incur charges. You will have to place your order by indicating your choices on the written paper, and you will be served by their staff. You can also choose the portion you want between small, medium and large. This is good as you can limit your portion you want to eat. My recommendation is to order all small portions first, if you really like the food item, you can order it again. 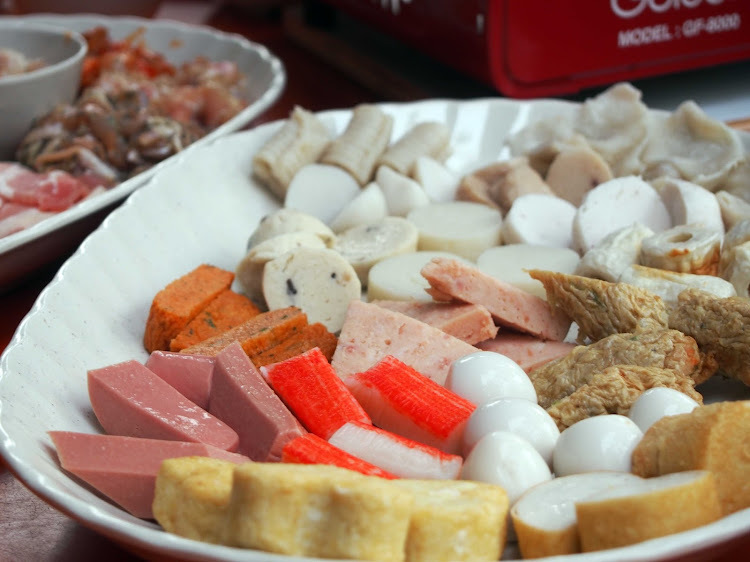 Can anyone spot the heart-shaped cheese tofu? Can you find any of your favourite vegetables here? There's enokitake! Everyone's favourite! These are their signature/most popular items on the menu! 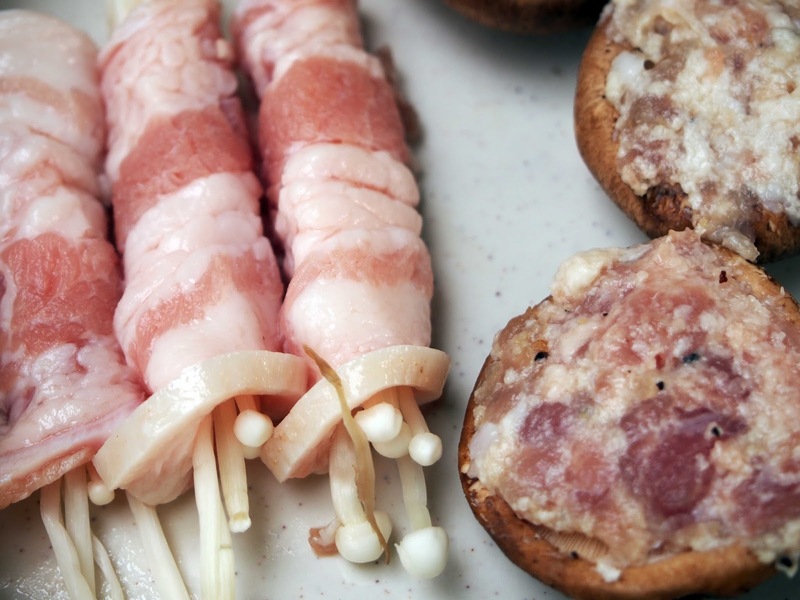 The enokitake mushrooms wrapped with bacon resembles the lok lok that I alway eat in JB! No doubt, it was one of my favourite! *Heres a tip* You can put the prawns in the soup to make it more sweeter! Unfortunately, they only serve one type of soup base which is chicken stock soup. It would be better if they have tom yum as well! Overall, it was an enjoyable experience at Soi 51 Mookata! I will be looking forward to my next visit with my classmates! Thank you for hosting us! *This was an invited food tasting session.